Situated in the holiday destination of Crete 'Analipsis', 20 km east of Heraklion city and 6 km west from the port of Hersonissos. 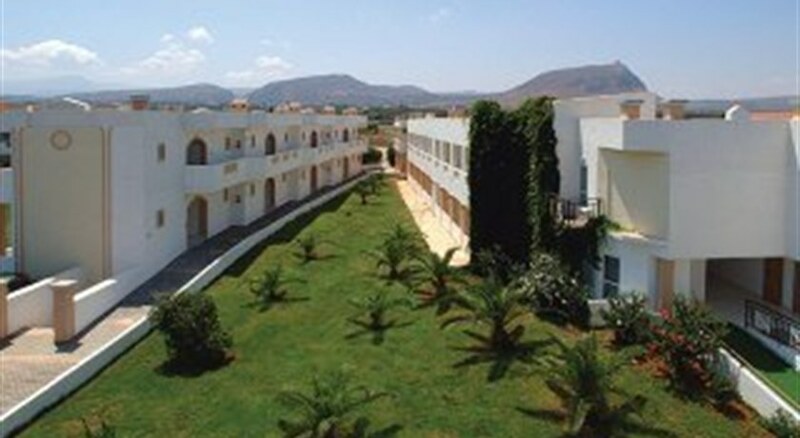 This hotel is located right by the beach, 20 km from Heraklion and just 500 m from the little village of Hersonissou. 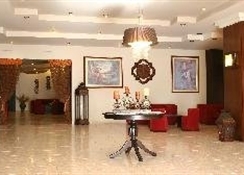 The hotel facilities includes: reception, restaurant, bar, pool, children's pool, children's playground, jacuzzi, tennis-, basketball and volleyball courts. The rooms are equipped with: air-conditioning, safety deposit box, sat TV, telephone, refrigerator and balcony. 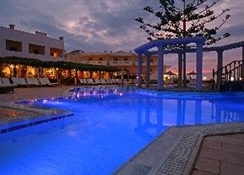 Address: Analipsis Village, 70014 L. Hersonissou, Crete, Greece.